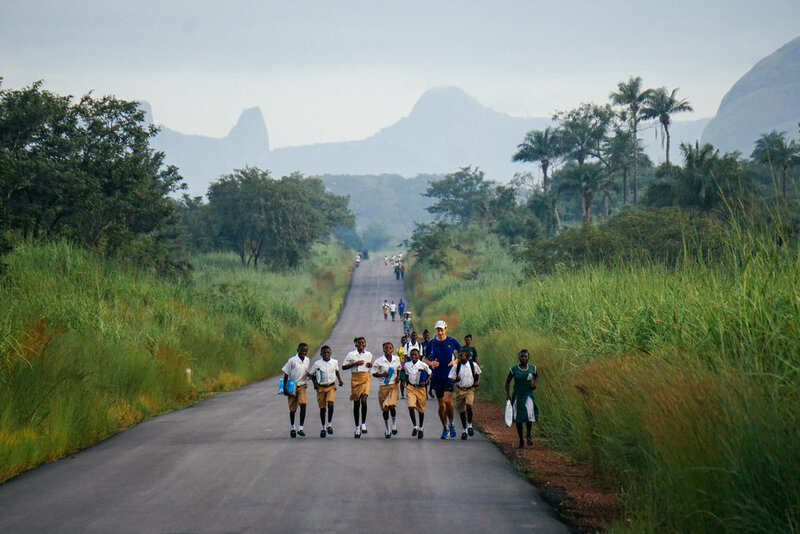 In September, I had the fortune of travelling the length of Sierra Leone photographing an expedition of 14 runners that traversed the country, completing ten marathons in as many days from the Guinean border to the west coast of Africa. Any utterance of the country Sierra Leone will often only conjure images of Leonardo DiCaprio in the film Blood Diamond, yet this little-known African nation’s identity is rooted in a fascinating and tragic recent history, with the vast majority of their suffering owing to a wildly corrupt government. The country is devastatingly poor, with over 60% of the population surviving on less that $1.25USD a day, though poverty seems to pale into insignificance when you consider Sierra Leone’s last 30 years. To paint a brief picture, the country was embroiled in a violent civil war during the 90s, with amputation seemingly the signature atrocity committed by the rebel forces, the RUF. The suffering of the Civil War was a collective one that left a tragic wake, with one of our local expedition drivers telling me the tale of how his brother was murdered in cold blood by the rebels. Still nursing the wounds of the war, Sierra Leone was ravaged by the Ebola outbreak in 2014, with the disease spreading in part through a lack of understanding: many thought it had been brought about through demons and would attempt to treat the disease with a heavily alcoholic drink called bitter Kola. As an orphaned 11-year-old told me, parents buried their children and children buried their parents. Their most recent tragedy seemingly slipped past the media and collective awareness of the Western world. I visited the site of August’s mudslide in Freetown that resulted in over 1100 dead or missing Sierra Leoneons, with half of that number still buried under the mud, never to be exhumed. Due to the lack of appropriate equipment, the country’s government has announced the site as a graveyard. The site is truly harrowing – boulders the size of cars are lodged into buildings and make-shift camps spill over with survivors, many of whom have lost their entire families. 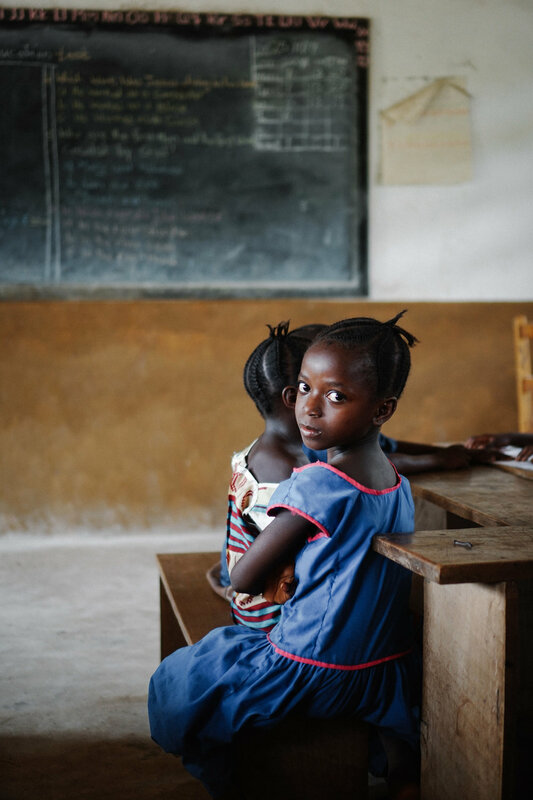 One of the charities that the expedition was raising for, Street Child, had gone beyond their remit of improving education in Sierra Leone to aid the post-mudslide recovery. Travelling the length of the country, we were able to witness first hand the shortcomings of the education system and how Street Child’s initiative is helping. 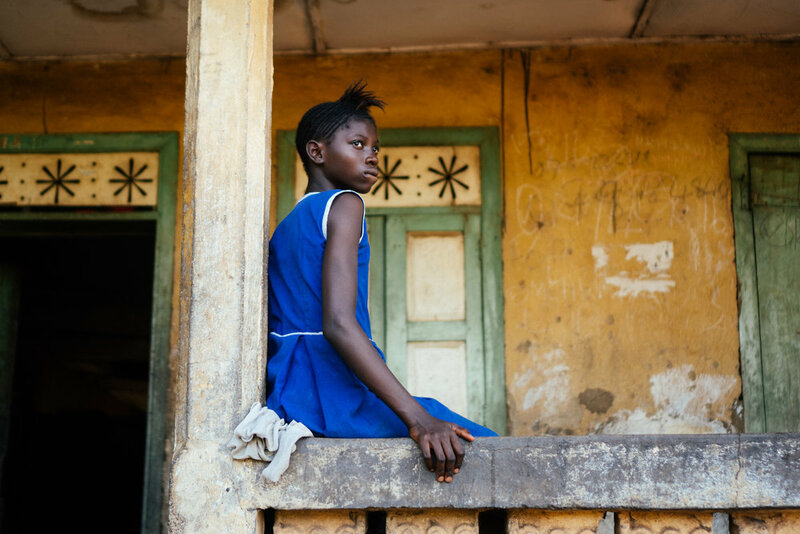 Despite Sierra Leone’s traumatic history, it seems that nothing can dampen their collective spirit and their ability to land on their feet. To enquire about volunteering with Street Child, please fill out the form below.